An email list is one of the best assets that you can build for your business. No change in the Google Algorithm or advertising account ban can take your email list away from you. Whatever happens in the online marketing world, your email list will always be able to give you a direct line of communication with people who want to hear from you — and will be interested in buying from you. 80% of retail professionals suggest that email is their greatest driver of customer retention, and 59% of B2B marketers say that email is their most effective revenue generation channel. However, that doesn’t mean you shouldn’t diversify the ways in which you are building your list. After all, if you’re only using one channel to build your email list — the growth of your email list is going to be vulnerable to any changes within that channel. And so — diversification should be made a priority. 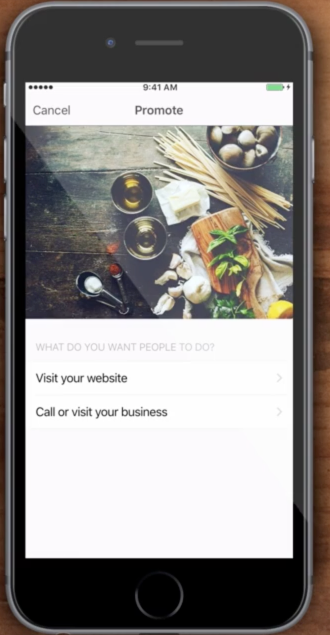 One of the lesser known ways you can build an email list, is by using the Instagram platform. 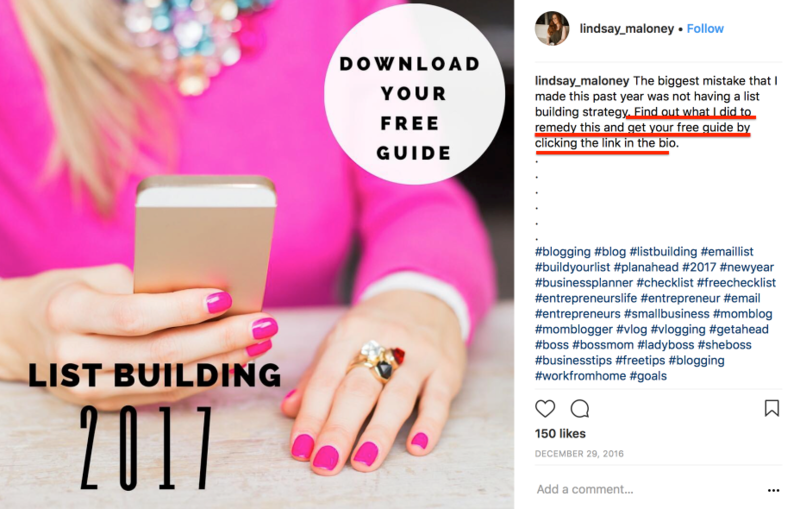 For a lot of people, using Instagram to build an email list, can sound like a weird concept — but it’s actually not too difficult. In this post, we’re going to take a look at how you can use Instagram to build an email list. We’ll take a look at some of the simple tactics you can use to get people on your email list — as well as some of the more advanced approaches. By the end of this post, you’ll understand exactly how you use Instagram, to diversify the growth of your email list. 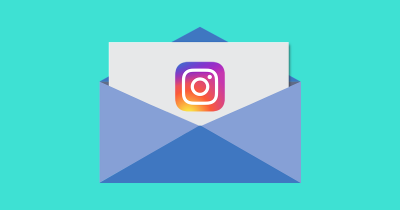 The concept of generating email sign-ups using Instagram can seem a bit confusing, so let’s briefly touch on the process. Here are the steps we’re going to follow, in order to generate email sign-ups using Instagram. Ask people to join our list. 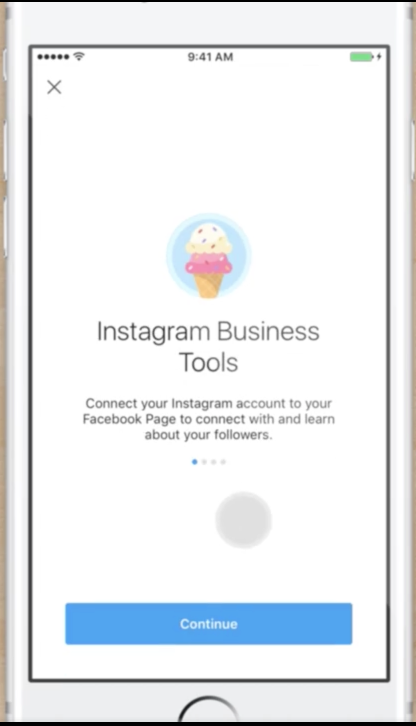 It is this four-part process, that will allow for you to generate sign-ups to your email list using Instagram. If you’re wondering why step 1 (giving people a reason to sign-up) is before step 2 (creating an audience) — it’s because step 1 will help you work out who your audience is. In order to figure out why people would sign-up to your list, you first need to figure out who your target audience is, and what kind of incentives will drive them to sign-up. Then using what you learn — you can go about curating/finding a highly targeted audience on Instagram, of whom will be receptive to your requests when you ask them to sign-up to your list. Once your Instagram profile has built up an audience, you can then let this audience know about your email list and the benefits of joining. We’ll look at this in more detail later, but here is a good way you can ask you people to join your email list, on Instagram. Fundamentally, generating email list sign ups using Instagram is no different to how you’d go about generating sign-ups using any other medium. If you want people who follow you on Instagram to join your email list — you need to give them a reason to do so. Perhaps one of the easiest ways to persuade people to sign-up to your email list, is by offering them something in exchange for an email address. Now, of course, you can get a bit more nuanced with this, but those are pretty good places to start. Let’s look at some examples, outside of Instagram, that showcase how you can get people to join your email list. 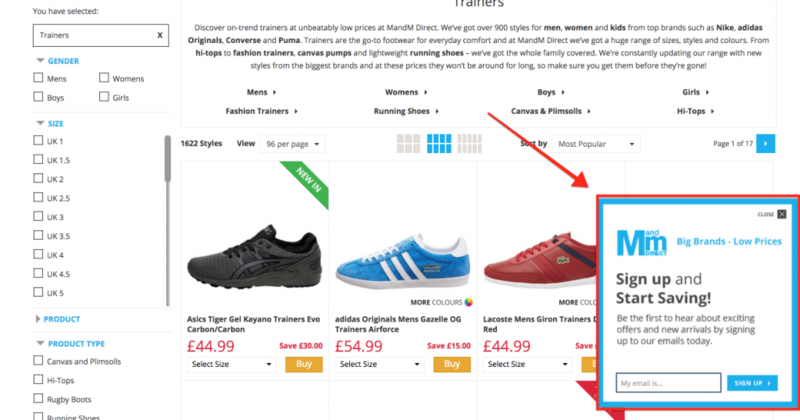 If you run an ecommerce store, a good way to get people to sign-up to your list is by providing people with a discount code. 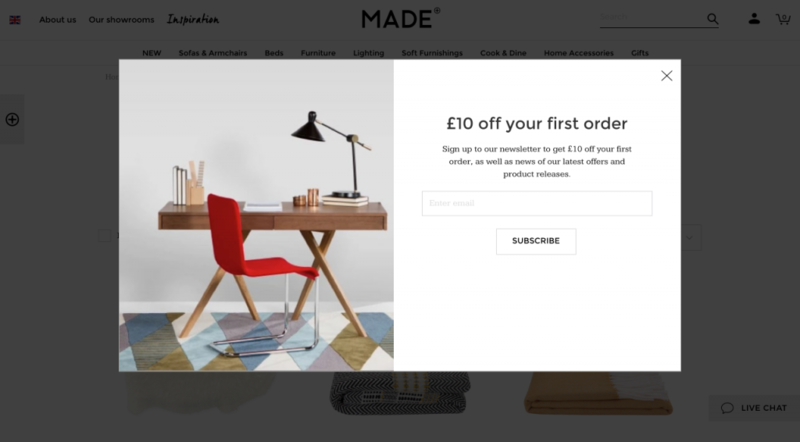 Though it doesn’t necessarily promote a discount code, here is an example of an ecommerce store that is promoting ‘savings’ as a reason to sign up to the email list. Here’s a more compelling sign up incentive,however, that lets people know there will be £10 off their first order, if they sign up. 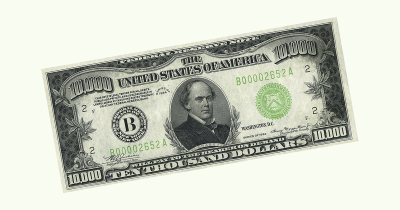 The value proposition is greater here, so there’s a good chance that this approach will generate better conversions. If you run a SaaS business, you could suggest that people will be able to access a 14-day free trial, if they sign-up to your email list. Alternatively, you could provide people with a piece of content. Here’s a piece of content that Wordstream is promoting to get people to sign up to their list. If you run a services business, a piece of content again, would be a great way to persuade people to sign-up to an email list. Here’s a great example from SingleGrain, a digital marketing agency. For their target audience, this piece of content from SingleGrain is very compelling and so would do a good job at generating conversions. For most, giving away content is a great way to get people to join an email list. When it comes to content creation, there are two approaches you can take. It’s important to consider creating two pieces of content like this, because it allows for you to reach people who are in varying stages of the buyer’s journey. Now, normally, you might promote ‘consideration/decision’ content to people once they’ve entered your funnel. However, when it comes to building your email list with Instagram, it’s hard to know for sure what part of the buyer’s journey your audience is a part of. But since you’re dealing with such a wide gamut of people when posting to your Instagram profile, it can be a good idea to post varying kinds of content so that your profile remains relevant to your entire follower base. 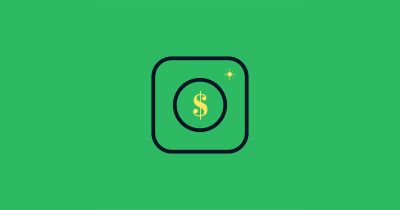 By creating content that targets varying of stages of the buyer’s journey, it becomes easier to market to people on Instagram, who might’ve initially dismissed your content/profile, because they felt it dealt with issues that were not relevant to them. This, therefore, allows for you to hold the attention of your followers for longer, thereby improving engagement and the longevity of your profile too. Let’s explore this using an example. For example, suppose you run a services business that provided conversion optimization for ecommerce store owners. You might provide a piece of content that teaches your audience everything they need to know, about increasing sales for an ecommerce store. 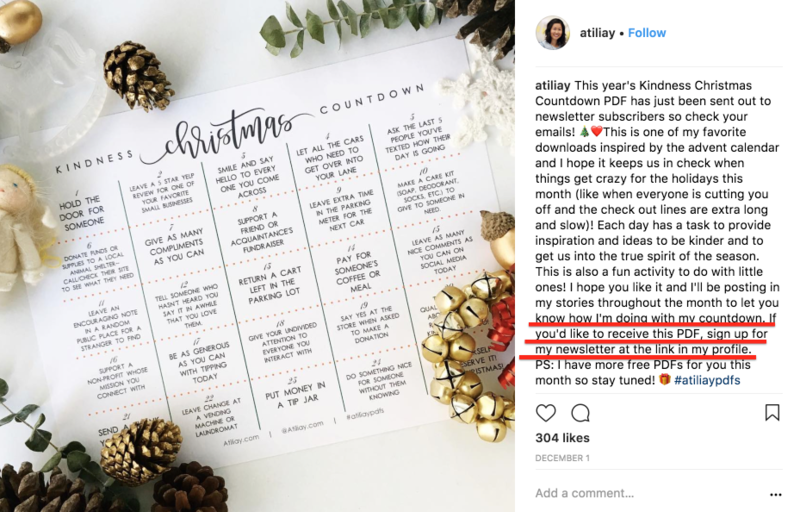 This kind of content would be appealing to an Instagram follower who wants to boost their ecommerce store sales, but doesn’t know what the first step of the process / what their ecommerce store needs help with specifically in order to boost sales. 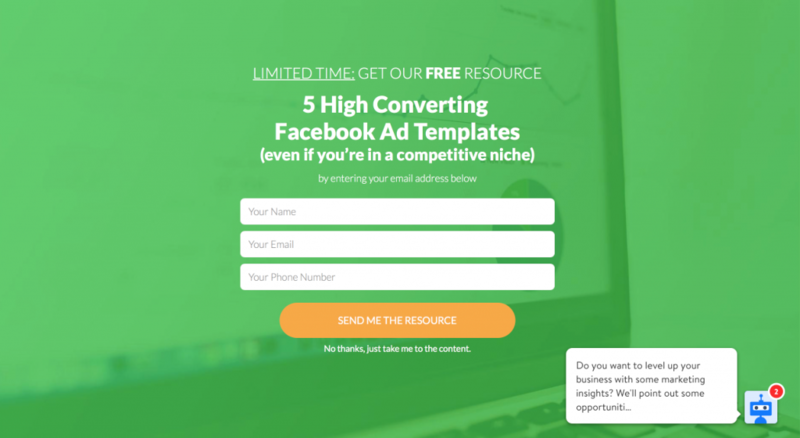 Alternatively, you could provide a piece of content that teaches people how they can reduce the bounce rate on their product pages, say, for their Facebook Ad campaigns. That’s a piece of content that is focused on solving a specific problem. This kind of content, will be appealing to Instagram followers who know what their problem is and are in search of solutions. For instance, these people this content is aimed at, are aware that their low ecommerce store sales are the result of poorly performing product pages, and now are in search of solutions. This same audience might have initially ignored the other piece of content, related to increasing sales. They might have felt that such a piece of content, is too broad and isn’t going to meet their needs. It’s also worth mentioning, that the people who sign up to get this kind of content are also most likely to buy from you — because they’re further along the buyer’s journey. If you can get them to provide you with their email address, you can approach them and ask them if they’d like you to help them solve their ecommerce store problem. Once you know how you’re going to entice people to join your list, you then need to create an audience. The core concept you need to keep in mind, when trying to build a relevant and stable following on Instagram, is that you need to consistently post content your target audience would find interesting. Similar to the situation earlier, the kind content you’re going to be posting to your Instagram account, will depend on the kind of business you are running. 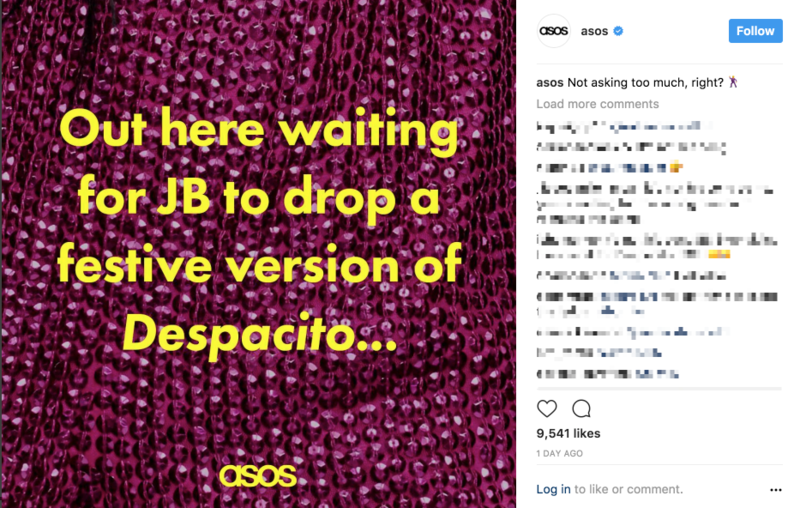 Here’s an example of comical content from Asos. To do this properly, you need to have a good grasp of your target audience. 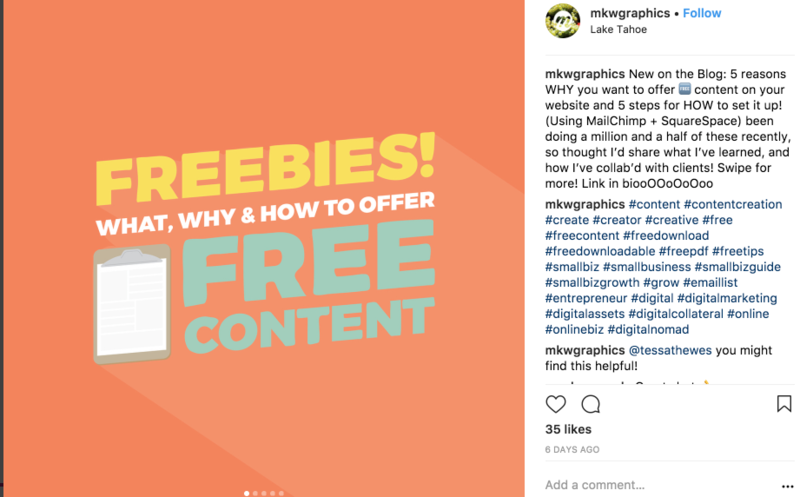 But when you do, it isn’t too hard to create some content that is going to be widely shared, and therefore help boost your follower count on Instagram. Here’s an example from Hootsuite. 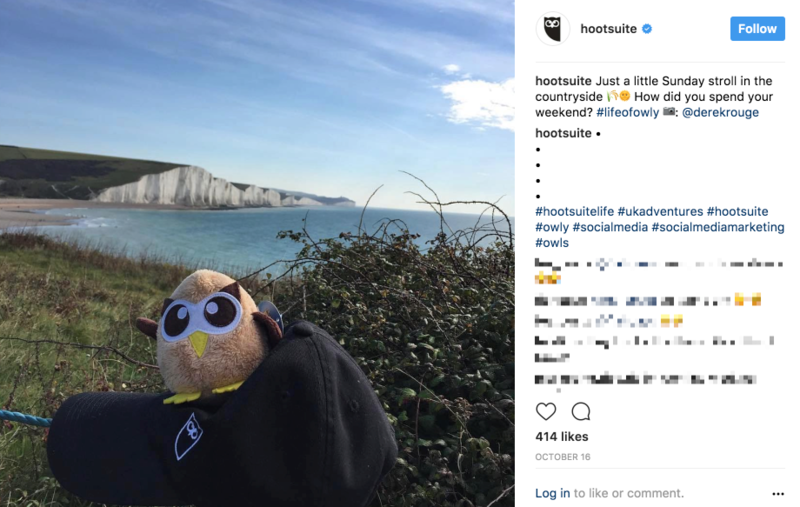 Though this technique works better when you have an audience, you can also post content that makes an ask of your audience — here’s another example from Hootsuite that does just that. Another way you can build your follower count, is by using relevant hashtags. Using relevant hashtags will make it easier for your profile to be found by people who are searching Instagram. For instance, suppose I run a store that sells hiking jackets. People who are searching Instagram for examples of good hiking jackets, might type ‘hiking jackets’ into Instagram. 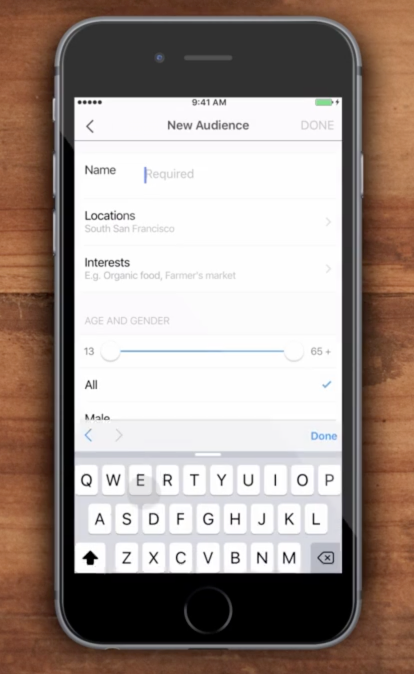 Instagram will then automatically add a hashtag to this query. The platform will then display a list of Instagram posts, that have used #hikingjacket. 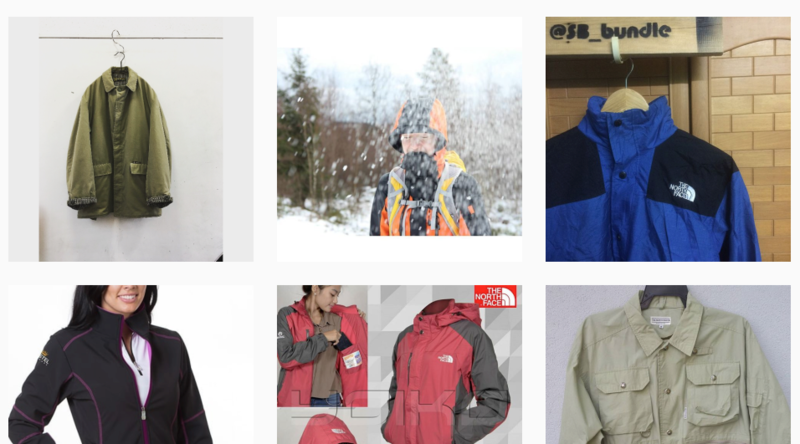 As a result, if I use #hikingjacket, when posting pictures of my hiking jackets to Instagram, I’ll be able to get in front of people who are searching for hiking jackets on Instagram. Another way you can build your audience, is by running contests. Though contests are a good way to build your audience, keep in mind that they’re not the most precise way of building an audience. People might follow you, just so that they can win whatever is being advertised in the contest — not because they’re interested in solving the kinds of problems, your business can solve. Here’s an example of how you can run a contest on Instagram. Notice how they’ve provided clear instructions on what people need to do in order to be entered for the contest. Another key point to consider is that they’ve asked people to follow the account and tags their friends. In addition to the other requests made, these two requests specifically, really help to expand the reach of this contest — increasing the odds that a large number of people will be made aware of the contest (and profile) in question. That’s because it will create a cycle of people following the account and tagging others, so that they can be entered into the competition — boosting the audience/follower count for an Instagram profile. This approach works equally as well for someone in the B2B niche. 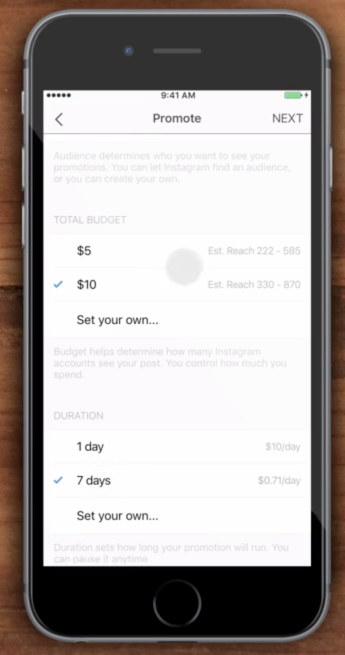 Another way you can generate followers on Instagram, is by running some Instagram ads. Before you run an advertising campaign, you must make sure that your Instagram profile actually has some interesting content and looks as though it is worth following. This will increase the odds of people wanting to follow your account, once they’re made aware of it via an Instagram ad. 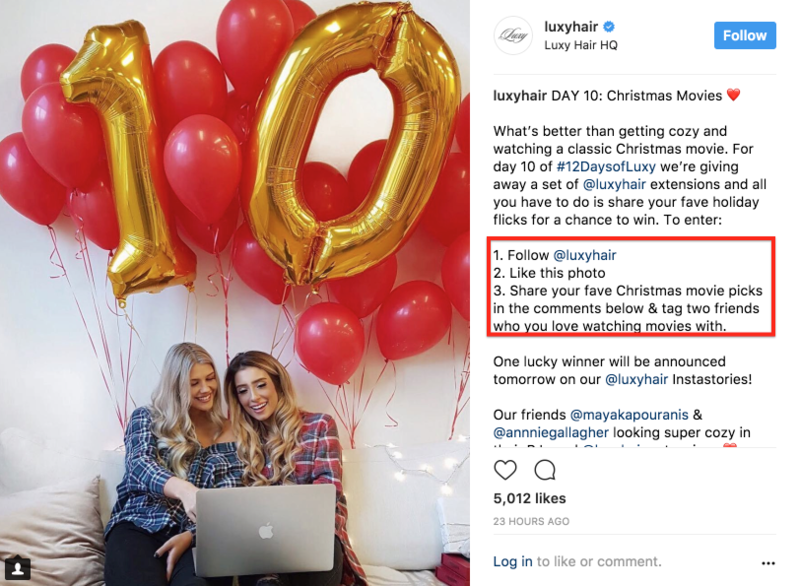 Remember, that you can always amplify the audience that you gain via advertising, using contests or asking people to tag someone else in the comments section of the Instagram post. There isn’t a way to directly generate more followers, using Facebook Ads, in a way that is similar to how you could do things on a Facebook Page for instance. However, you can overcome this by running an ad campaign around a popular piece of content from your Instagram profile. In doing so, you’ll be able to create an ad campaign that will help produce followers. Selecting an already popular piece of content increases the odds that your ad campaign will be a success at generating engagement. As a result, kind of ad campaign is a great way to promote awareness of your account and generate followers in the process. Plus, because these ad campaigns can be targeted with precision, this approach will allow you to attract a highly relevant audience. The easiest way to run an Instagram Ad Campaign that will increase followers, is by using Instagram app. Let’s take a look at how you can do this. First, you need to go into the settings section of your Instagram app. You can do that by tapping the gear icon. Once you’re done with this short process, your account will be converted into a Business profile. Once you’ve done that, restart the app and then select the post you’d like to promote. A good approach, here, is to promote one of the more popular posts on your account. This will increase the odds of your campaign producing results, because you’re working with an already proven piece of content. Then underneath the image, tap the ‘Promote’ text. You then need to pick an objective, for your campaign. Note, that you can only select these two objectives at the moment. Once you’ve done that, you then need to select the call to action for the ad, and also adjust the targeting settings for the ad. You’ll also need to provide your website URL here. As shown above, you can leave it so that targeting is ‘Automatic’ or you can ‘Create your own.’ It is better to create your own, using the information from your buyer’s persona. Once you’ve done this, you also need to select the budget and duration for your ad. You’ll then need to wait for the ad to be approved. 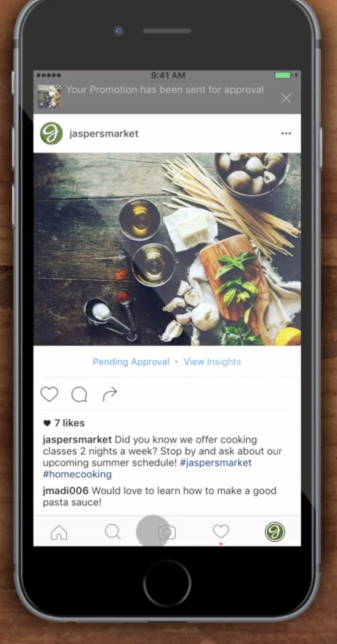 Once the ad is live, if you click on the View Insights option, you’ll be able to see the effects of your promotion, on your Instagram profile. 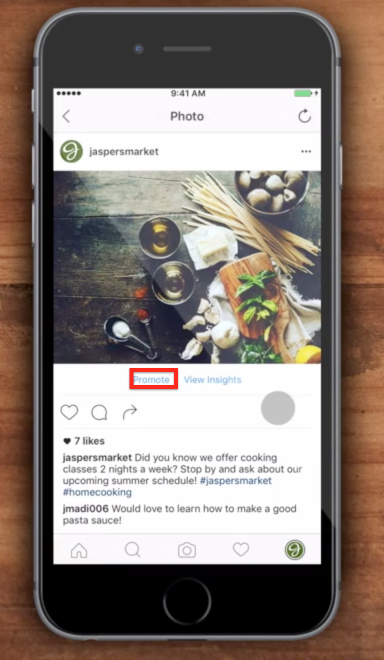 And so, that’s how you can generate more followers for your Instagram profile, using Ads. It’s not the cleanest process in the world, but it does help you generate targeted followers, who will be interested in what you have to say. Okay, so that’s how you can build your audience on Instagram. Now let’s take a look at how you can actually get people to sign-up your list. After everything else that we’ve covered, this section is relatively simple. All you need to do here, is let people know that you have something to offer and then let them know how they can access whatever it is that you’re offering. So what are the nitty-gritty details, then, on how to do this? Keep in mind that on Instagram, you can’t really put a URL within your post descriptions. You can put down a URL, it just won’t be clickable. As a result, if you want someone to visit the link to your email signup page, you’ll it’s a good idea to put the link, in your bio. With the link in your bio, you can then tell people within an Instagram post that you have something on offer, if people click on the link in the bio. To attract a lot of attention, you can even create a custom image, that lets people know that there is something on offer. It’s really easy to do something like this using Canva, for example. 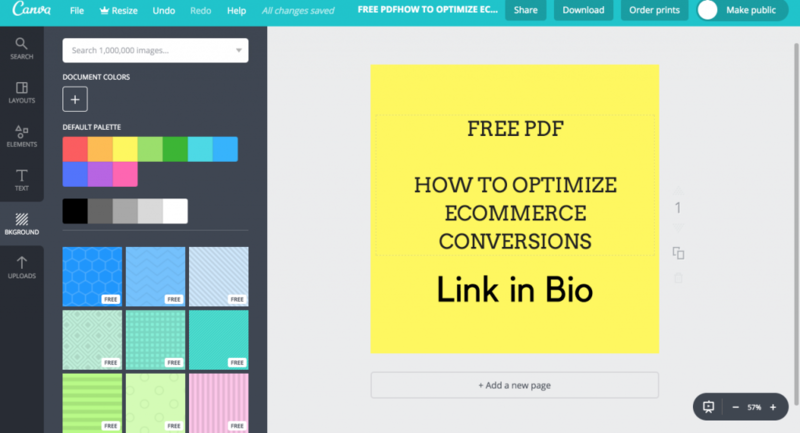 Here’s something I created quickly, to promote a free pdf, that’ll teach people how to improve ecommerce conversions. Once I’ve created this image, all I need to do is upload it to my Instagram profile and use my description to provide a little bit of context on what is being given away. 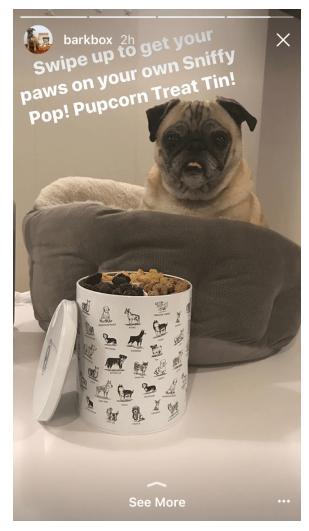 Here’s a good example of how someone has used an Instagram image, to promote something that is being given away for free. Here’s a great example of someone who is using the description to get people to sign-up to their newsletter. As these examples show, if you want people to sign-up to your list, you have to be very clear about the steps that they need to take. You can’t just assume that people are going to click on the link in your bio, if you just mention that you have something to giveaway, but fail to mention the link in the bio will give them access to the said item. 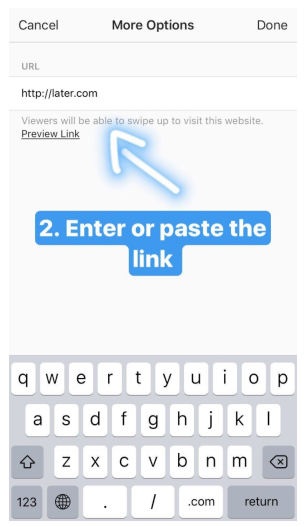 If you’ve used Instagram Stories at all, you’ll know that there is a feature within the Instagram app that allows for people to swipe up in order to visit a certain link. You can, therefore, use this feature to generate sign-ups to your email list. When creating your story, just click on the ‘Link’ icon at the top of the screen. Then add your URL to your sign-up page. Remember to tell people about your freebie, when making your Instagram Story, and remind them to swipe up to get access. 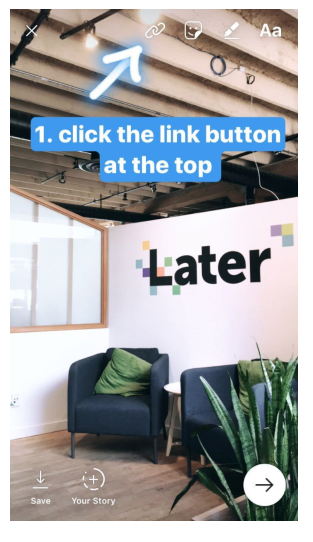 You can also layer a call to action on top of the Instagram Story. Adding the call to action using the approach shown above, is a good way to go about things if you’re going to be creating an Instagram Story that is made up primarily of images. 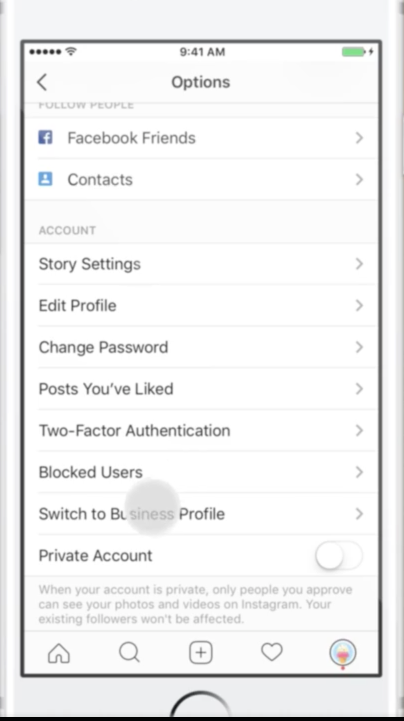 Pro tip: If you’re collecting emails from both your Instagram Stories and your bio, then you’ll want to segment them to two different lists. 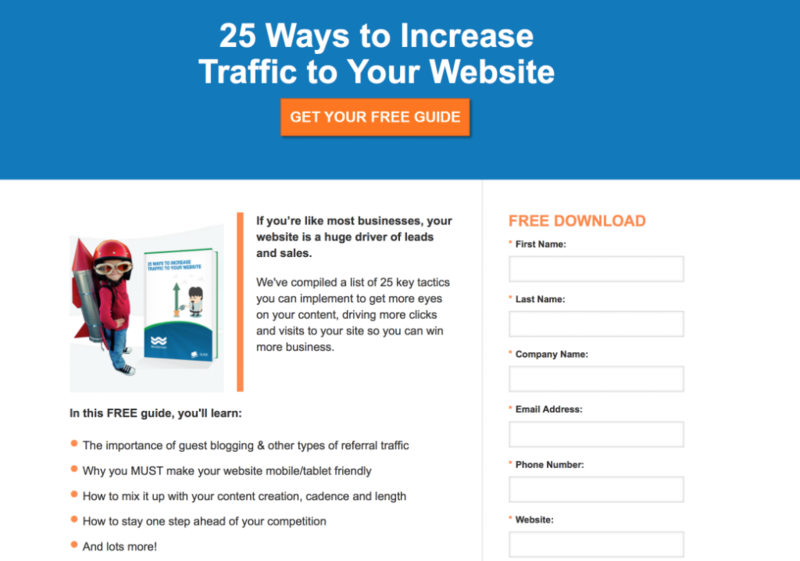 You can do this by having two email collection landing pages. Later this will pay off because it will allow you to personalize your emails better. Study shows that personalized promotional emails generate a 29% higher open rate. In this post, we’ve taken a look at how you can use Instagram to generate email sign ups. As with many other situations in which you need to generate sign ups — you need to give people a compelling reason to do so if you want people on Instagram to give your their email address. The best way to do this, is by creating something that your target audience will want. We’ve taken a look at how you can create something that will pique the interest of your chosen demographic. 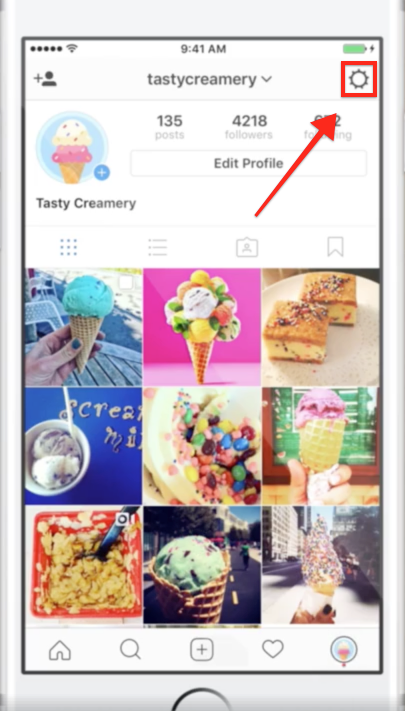 We’ve also reviewed the different ways you can find your audience on Instagram too, from using Hashtags to using paid forms of advertising. 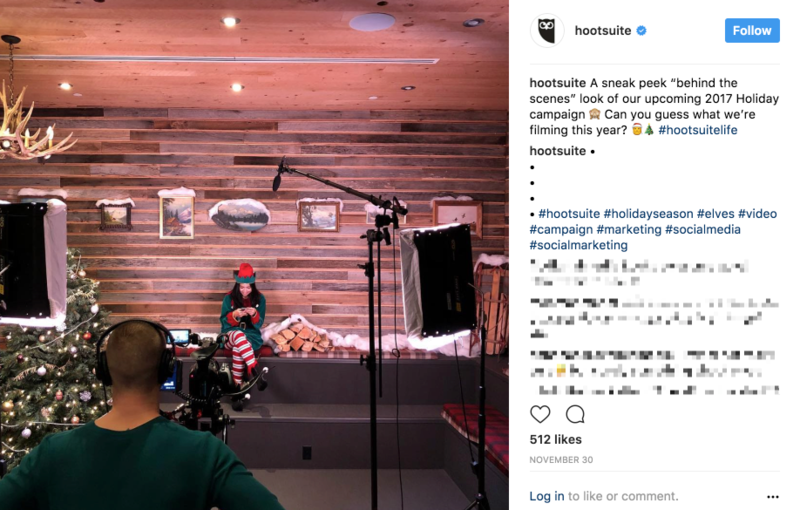 Generating email sign ups on Instagram isn’t necessarily as easy as the other methods you can use to drive sign ups — so you’ll need to think outside the box. But if you can get things right, you’ll be well on your way to diversifying the methods you’re using to generate email leads — making your business more solid in the process.